Massage, spa therapies, sauna and much more! The Spa features Les Sens de Marrakech with a range of massages and face and body treatments specially designed for Dar Azawad Boutique Hotel. These rituals signed by Les Sens de Marrakech, exclusive in the Mhamid El Ghizlane region, offer a true sensory journey, relaxing or energizing according to needs and desires. 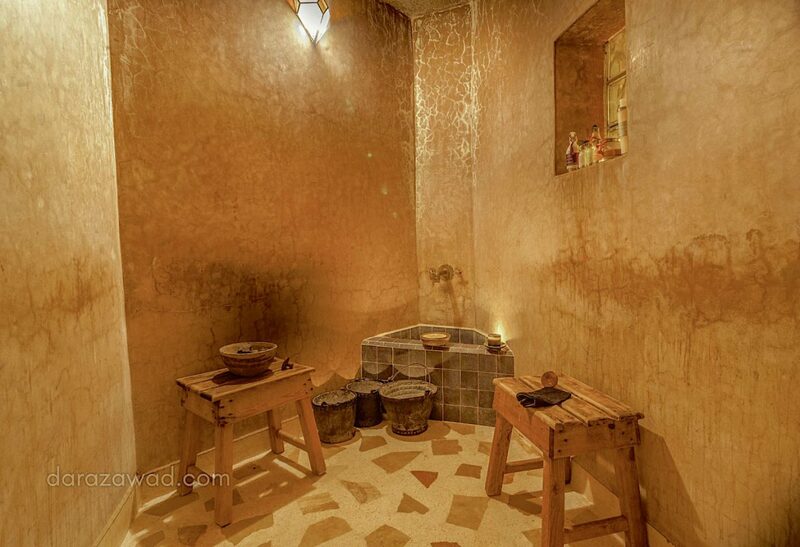 The hammam is a must-go for anyone visiting Morocco. This is the perfect place to chill out and unwind. 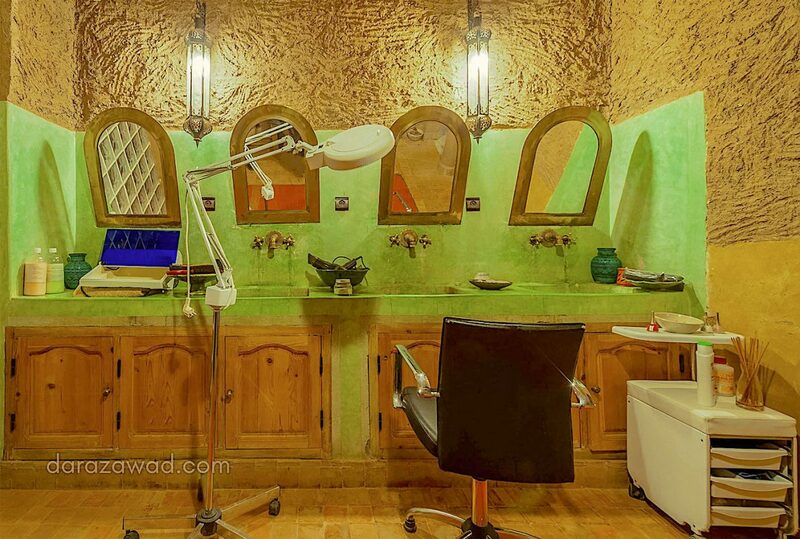 The Dar Azawad hotel’s hammam & spa is unheard-of in southern Morocco. 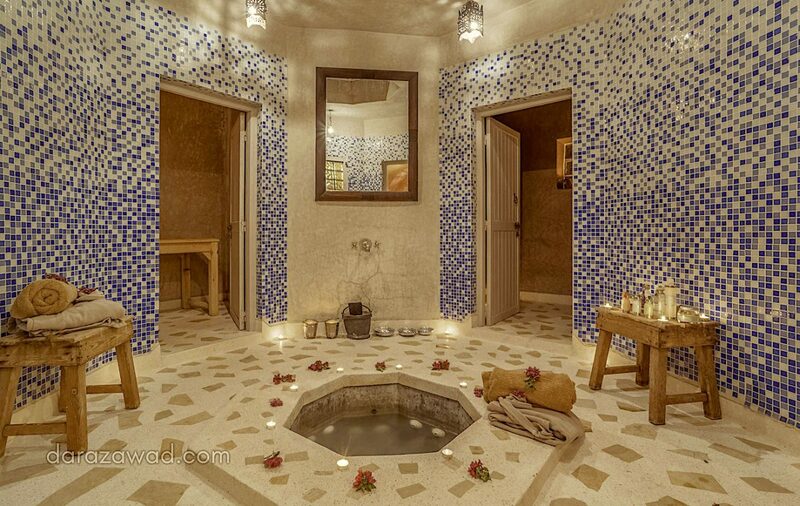 It is very intimate and specially designed for your well-being. In the hammam section, 2 cabins are to be found, namely a 4-people cabin with a warm room and a lukewarm room, and a similar cabin for 2 people. 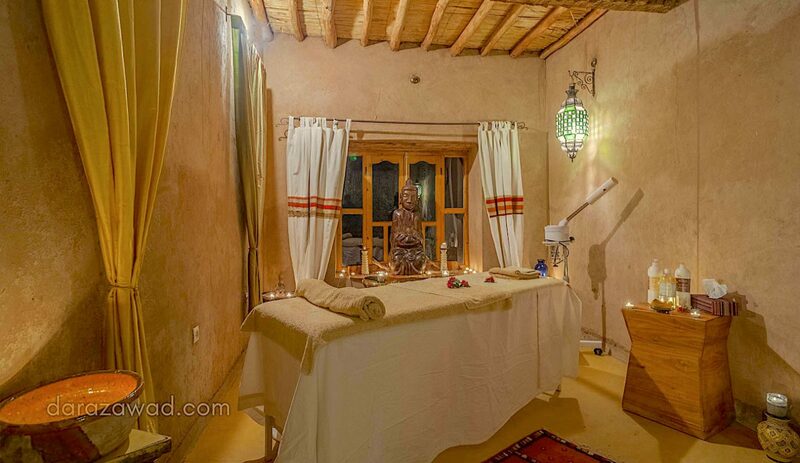 The traditional Moroccan Hammam is always made of two rooms. The lukewarm first room helps you rest and opens skin pores while in the warm second room, your skin is scrubbed and cleared of its impurities. Scrub is achieved using a dedicated exfoliating glove and black soap with Argan oil and essential oil of eucalyptus. Never has your body felt so soft. Scrub itself is a massage. In fact you lie on the warm floor while someone vigorously scrubs your whole body with the rough side of the glove and soft black soap. Ghassoul body wraps (white clay) will also benefit your skin a lot. 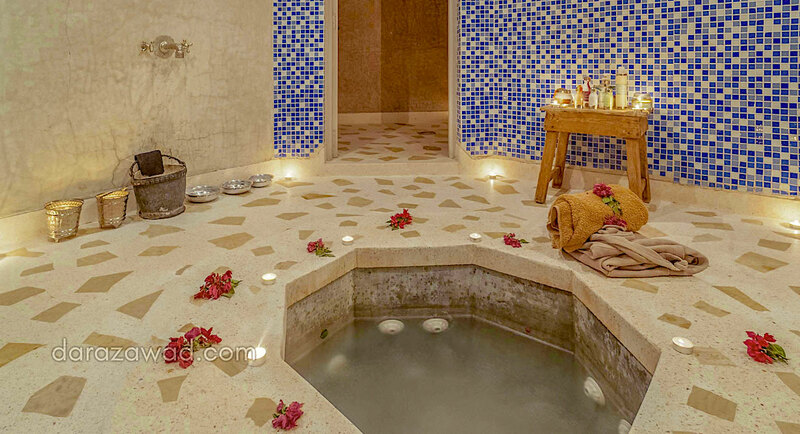 Before entering the hammam, enjoy our leg and arch whirlpool. In a very refreshing atmosphere you can rest your legs and feet, and have them massaged with water and essential oils. When you get out of the hammam and before you treat you to massages, it is very important that you stop at the herbal tea corner so as to lower down your heartbeat. There, you will be offered an herbal tea that goes well with the kind of massage you have chosen, namely an energizing, soothing or draining massage. You can choose between half-an-hour or one-hour-long massages while background music takes you to the top of the Himalayan Mountains. You can also choose between a back soothing massage and a facial. 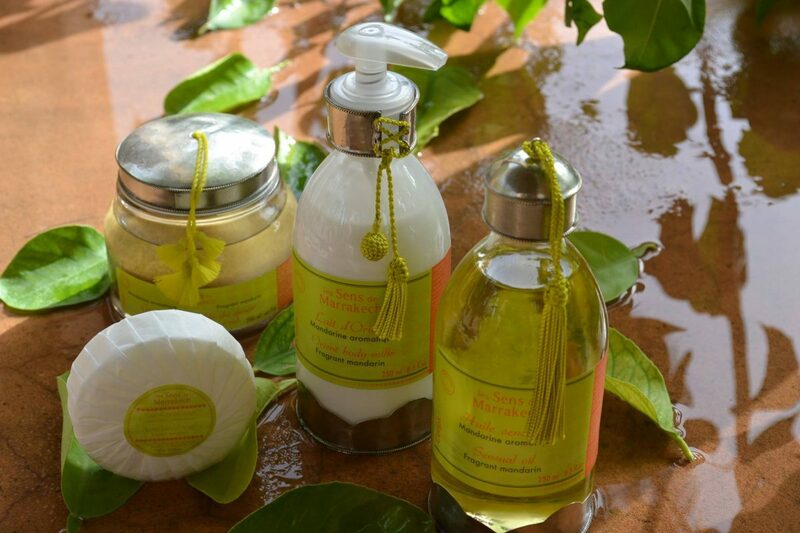 For all massages we use oils based on argan oil or essential oils of Moroccan verbena or orange blossom.